In Win, the company well known for its Ultra High-end PC cases or cabinets, today announced its new A1 series of Mini-ITX Tower PC cases for the gaming enthusiast. The case has been priced at $169.99. The case looks gorgeous with its transparent and tempered glass and brushed aluminium design finish. The design of the A1 Mini-ITX case represents the modern style design. The A1 case can easily hold up all of your high-end PC hardware including the latest Nvidia GTX 1180 and other graphics cards. 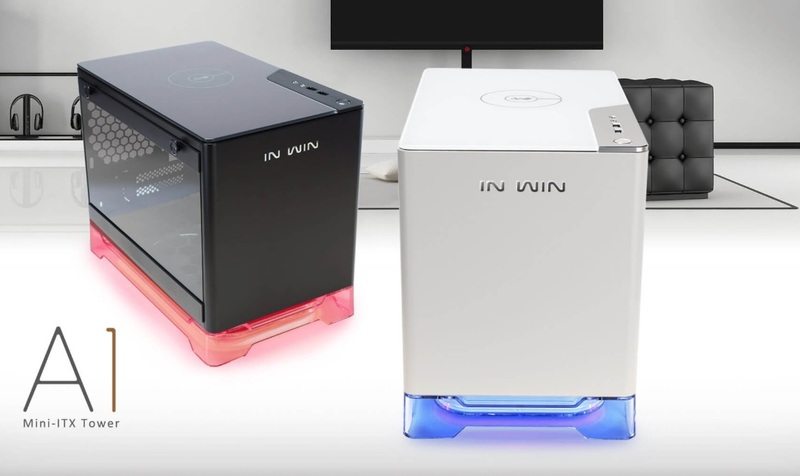 The most interesting and the biggest highlight of the In Win A1 case is that it comes with inbuilt wireless Qi charging station right on the top of the case. The wireless charging station provides a hassle-free way to charge your smartphone wirelessly without needing a charger. Simply place the phone up on the case on the designated charging area and it will start charging the phone immediately. The best thing is that you can charge your phone even when your PC is off. The wireless Qi charger features a 1-year limited warranty. The A1 supports a CPU heatsink height up to 160mm and can hold graphics card up to 300mm in length. The case features a cool transparent stand attached underneath the case with illuminated lighting effect. It also includes 2 x USB 3.0 ports and HD Audio ports along with the power button on the upper side of the case. You can easily remove the 3mm tempered glass side panel to install the hardware into the case. The A1 comes with 120 mm fans on the side and rear and dual 120mm fans on the bottom of the case. In Win also includes a prebuilt In Win 600 W power supply unit. Unfortunately, In Win didn’t reveal the pricing and the availability date for its A1 Mini-ITX Tower Cases, but somehow we managed to get the details out for you. 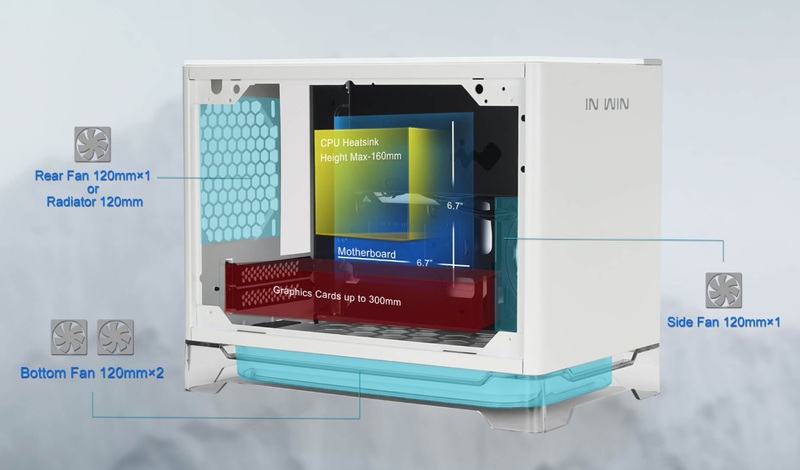 The pre-order for the In Win A1 Mini-ITX case will kick off May 14 with the price tag of $169.99, and the shipping is set for May 30.